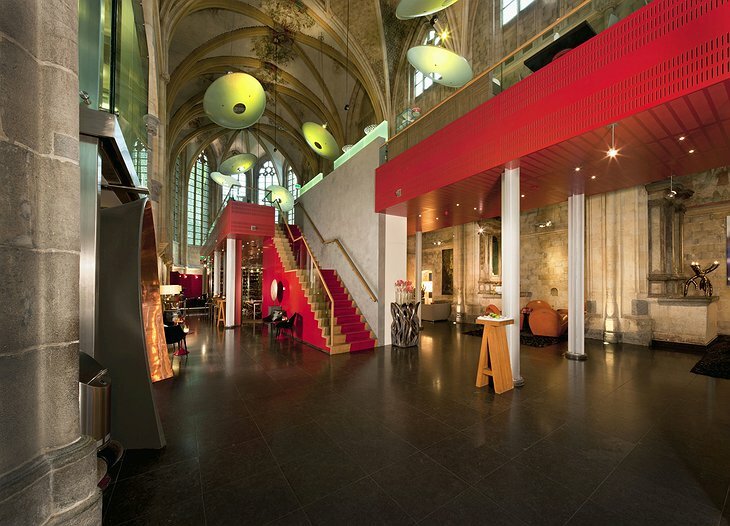 Situated in the heart of Maastricht, the Kruisherenhotel introduces guests to the long and colorful history of the city. 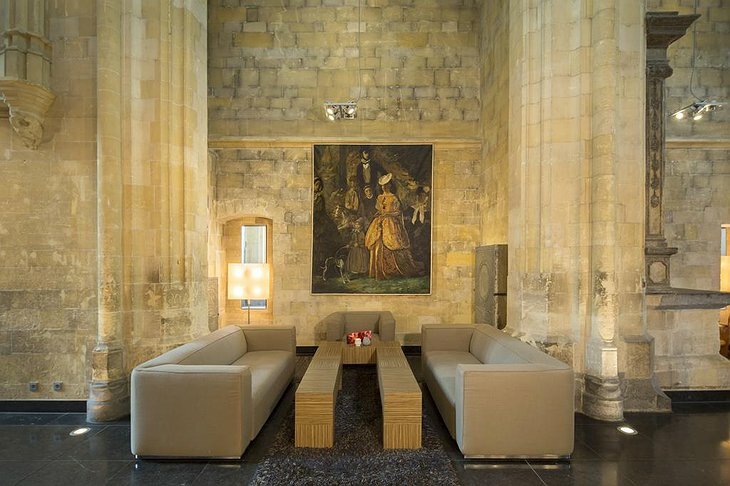 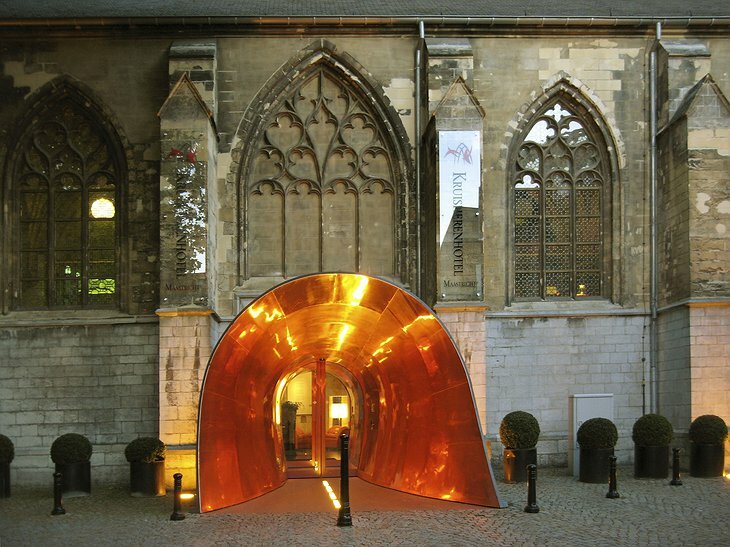 Once a monumental gothic church, the entire complex has been converted into an extraordinary designer hotel. The renowned designer, Henry Vos, has incorporated the beautiful architectural elements into the contemporary design that offers guest both luxury and style. 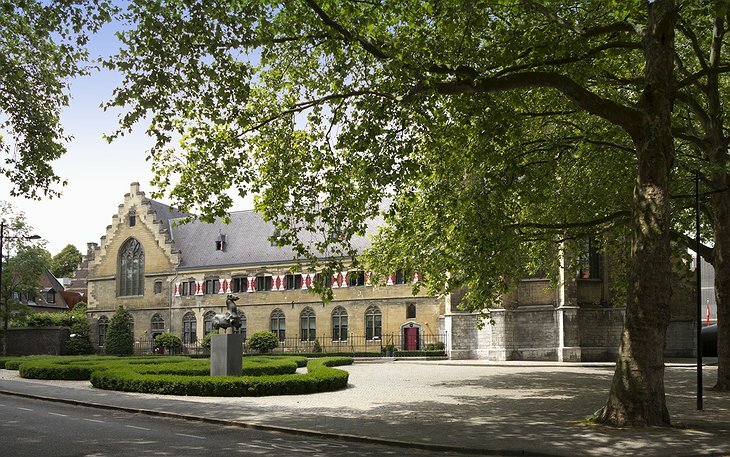 Originally constructed for the Order of the Holy Cross, or Kruisheren, in the 15th century, the complex was home to scholastic monks who carefully copied and bound texts in addition to caring for the poor and sick. After they were run out during the French Revolution, the complex was then used to house munitions and served as military barracks. 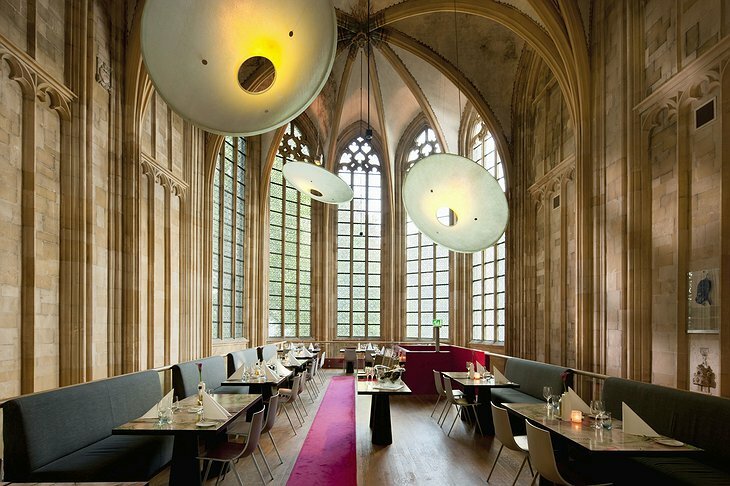 The buildings remained unused for several years until Camille Oostwegel resurrected the structure into a contemporary boutique hotel. 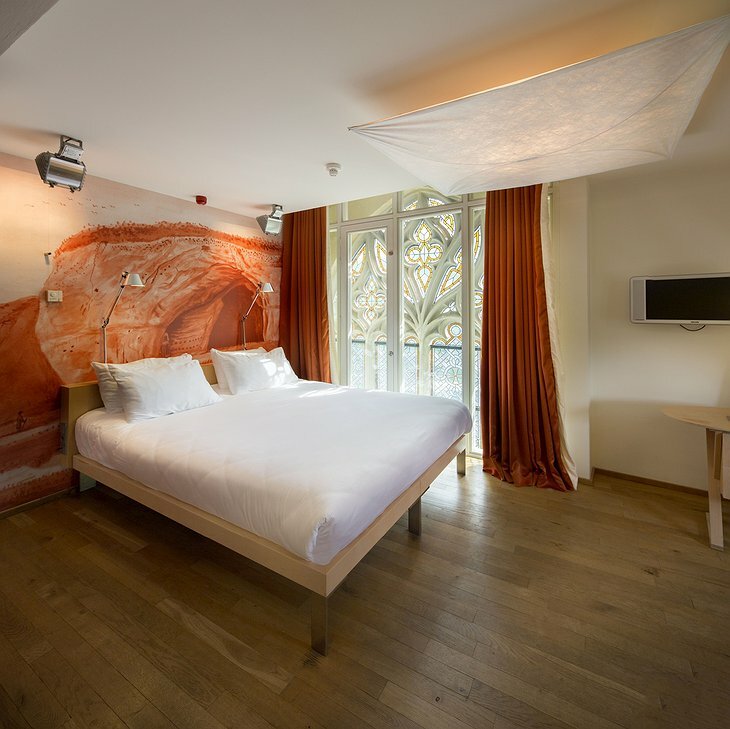 Today there are 60 beautifully designed guestrooms offering guests every modern convenience and luxury while creating an interesting contrast between the ancient structure and modern furnishings. The artwork, stained glass, and personal poems give each room its own unique personality. 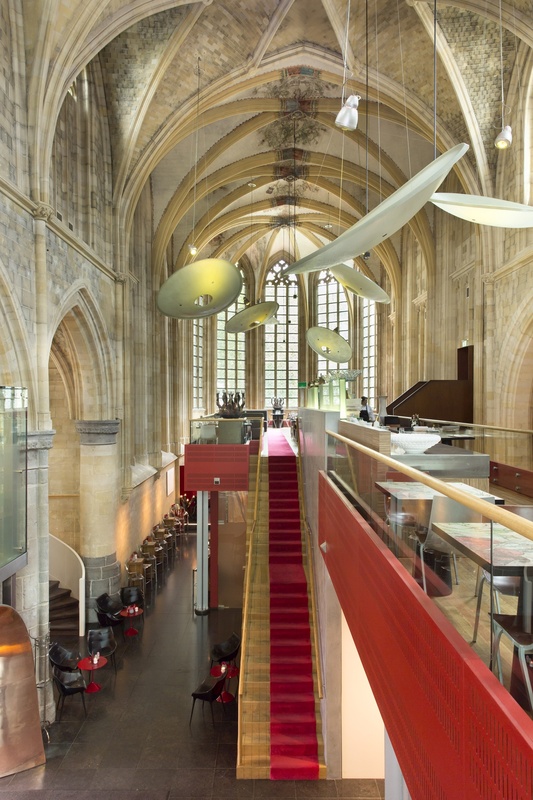 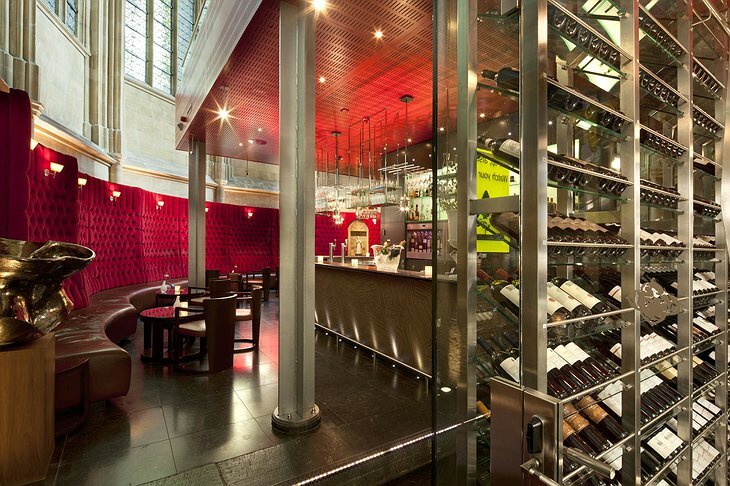 The former nave now houses public areas of the hotel including the lobby, reception, meeting rooms, library, lounges, wine bar, wine cellar, and the mezzanine restaurant that truly offers dining between Heaven and Earth. The Kruisherenhotel in Maastricht offers a unique vantage point from which to experience and explore the city. 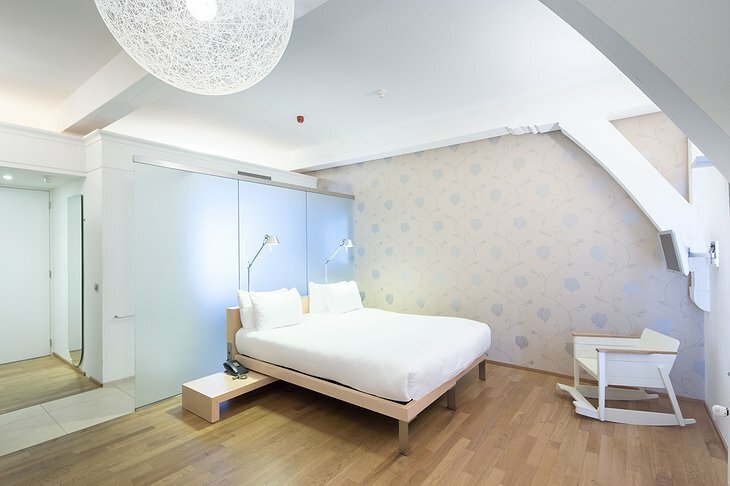 You are just minutes away from the numerous boutiques, cafes, and historic buildings of the city center where you can truly feel the pulse of the city.